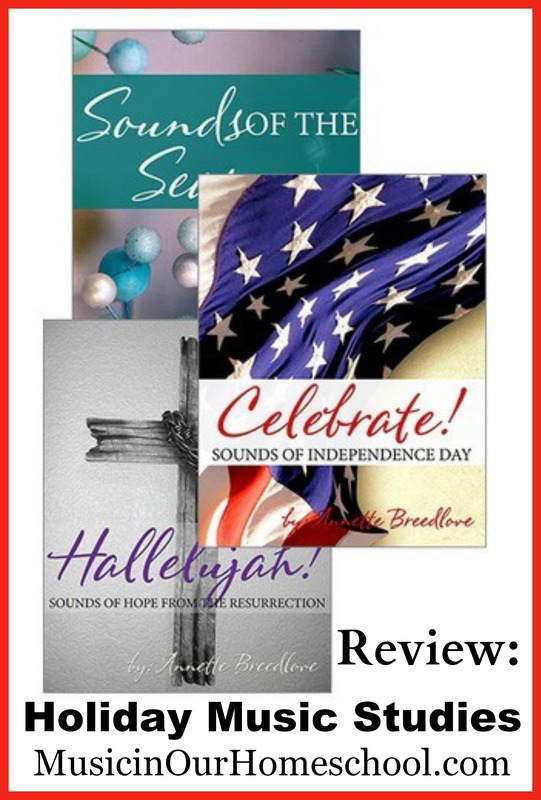 Today’s review is of a fun Music Studies Bundle about 3 Different Holidays: Christmas, Easter, and Independence Day. The Holiday Music Studies are written by Annette Breedlove. Each contains 10 songs that you will want your students to know! What a great thing to do to prepare for each holiday. Each song includes a short history and links to listen to it in various styles. 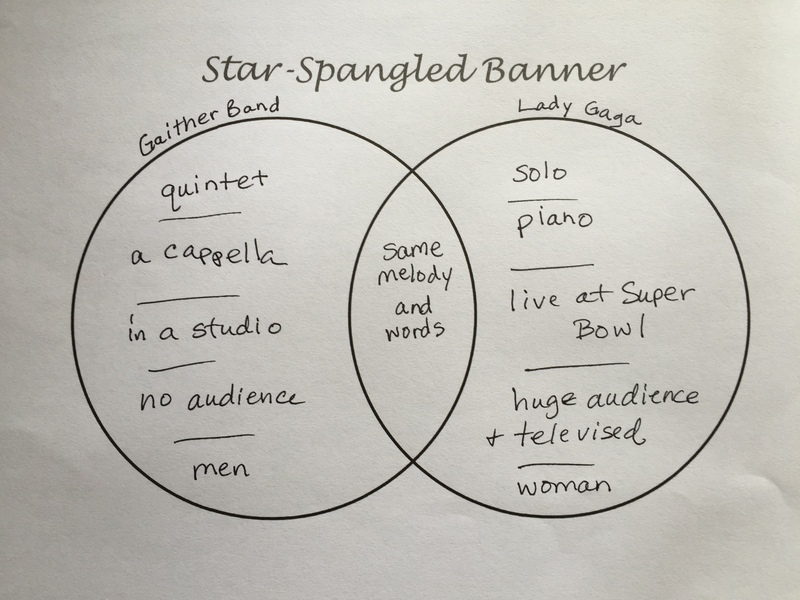 Venn Diagrams are included so that your student can compare and contrast what they hear. You’ll also find a variety of notebooking pages for the songs, composers, and even blank ones to use as you’d like. The Sounds of the Season Christmas study includes 10 classic Christmas songs and carols including: “Angels We Have Heard on High,” “Carol of the Bells,” “O Holy Night,” and more. The Hallelujah! Sounds of Hope from the Resurrection music study includes 10 classic and contemporary songs reminding us why we celebrate Easter. They include: “Christ the Lord is Risen Today”, “Were You There?”, “I will Rise,” and more. The Celebrate! Sounds of Independence Day music study focuses on 10 popular songs used throughout history to remind us of our nation’s freedom and includes titles such as “The Star-Spangled Banner,” “My Country ‘Tis of Thee,” “Yankee Doodle Dandy,” and more. One page of Listening Exercise. There are about 4- 8 different links to listen to the song. I love the variety of styles and performers you’ll hear! The extra notebooking pages allow you to write about the song, the composer, and even add information such as time signature, key signature, lyricist, and copyright year. There are blank ones as well.